The AR-15 can make 45 holes in 60 seconds. A piece of American engineering, a highly-customisable semi-automatic rifle popular with civilian firearm enthusiasts and military personnel alike. It has an effective range of 550 metres and a muzzle velocity of 975 metres per second and weighs somewhere around four kilograms without all the bells and whistles. 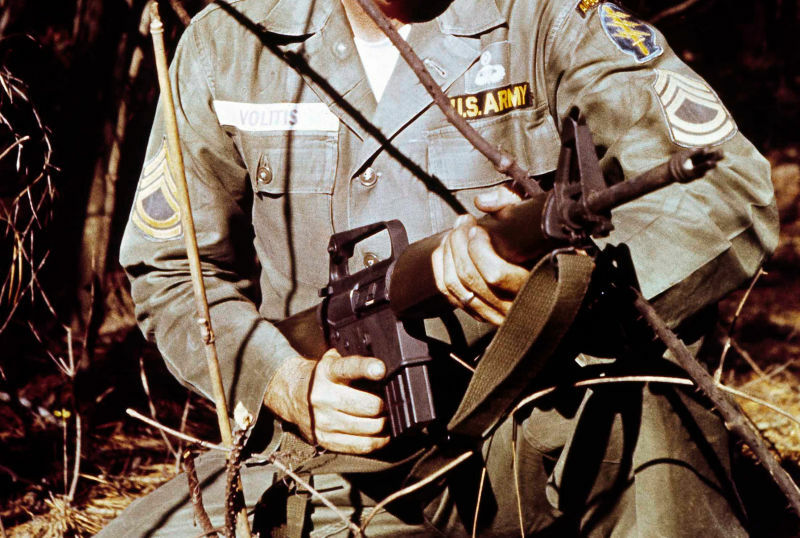 The AR-15 is also notable for its incredible killing power, with ARVN rangers (to whom it was originally given for field testing) noting that a single round could take the head off a Viet Cong guerilla. All of these features, along with its relative availability, have combined to make the AR-15 the weapon of choice for mass murderers all around the United States and a prime mechanism for gun violence. James Holmes, the perpetrator of the 2012 Aurora Shooting, used a Smith & Wesson M&P15. This weapon is modelled off the AR-15. Adam Lanza, who killed 20 children at Sandy Hook, used a Bushmaster M4-type carbine, similarly based on the AR-15 platform. More recently, Stephen Paddock used a number of AR-15 and AR-15 ‘alikes’, possibly modified with bump stocks or gat cranks, to kill 59 people and wound over 500 in Las Vegas. This is now the deadliest mass shooting in United States history. The AR-15 in Vietnam. Via Gawker. But this is not America’s true gun problem. It is just America’s most visible gun problem, the one that we get to watch unfold like a horror movie every time it crops up. Massacres – and the AR-15s and ‘alikes’ with which they are so often committed – represent only one facet of a larger evil. Mass shootings account for a very small fraction of firearms related deaths in the United States. In 2015, 13,286 Americans were killed by firearms. 475 people were killed in mass shootings. Now is a time for mourning, but it is also a time for thinking. Americans are starting to demand stricter gun laws – again. But it is important to remember that we often focus only on the most visible symptoms of this disease, with nary a thought spared for those that go unseen. Handgun violence is the primary driver of gun homicides in America. The pistol is mightier than the AR-15, at least in terms of lives taken. Handguns were responsible 6,447 homicides in 2015; rifles 252. Women and young black men account for a substantial number of these deaths. Handgun killings usually occur within the context of street or domestic violence. They do not attract television cameras or think pieces. These killings are minor beefs that escalate into shootouts due to the presence of a pistol, or the cold endpoint of spousal abuse. They might as well be invisible. Until America begins to focus on these killings – not only on the mass murderer with an AR-15 and a bowl cut – its true gun problem will not go away. In stark contrast to these statistics, gun bans often revolve around so-called ‘assault weapons’. This is shorthand for a scary-looking gun, possibly finished in matte black and accessorised almost beyond usefulness – y’know, like your standard AR-15. Proposed gun bans usually crop up right after a mass shooting, usually for the purposes of political point scoring, and are usually abandoned once everybody stops talking about the reason they were proposed in the first place. But even if an ‘assault weapon’ ban was instituted, it wouldn’t go far enough. An ATF inspector at a firearms retailer. There is a tendency to see America’s gun violence problem in the same way that the general population views cancer: as a homogenous disease with a blanket fix. Just like there is no ‘cure for cancer’, there is no singular solution to gun violence. Banning AR-15s and guns that act like AR-15s will not stop handgun murders. 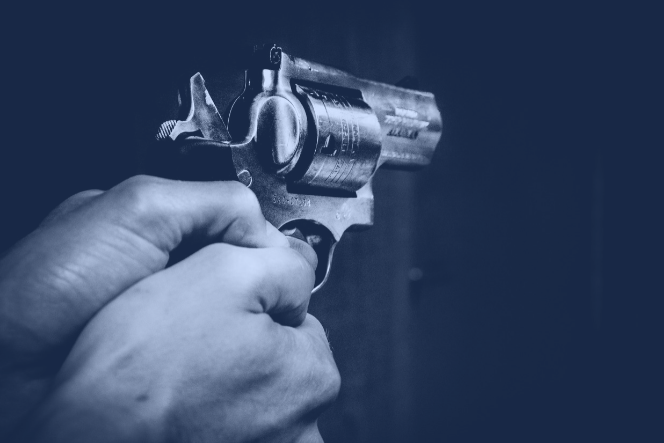 Community-based policing, stricter background checks, and cutting down on straw purchases through the creation of a firearms registry will stop handgun murders. Should somebody be allowed to own a weapon with the killing potential of an AR-15? Probably not. Should that idea inform the entirety of the American gun violence debate, to the point where anything outside of a mass killing is excluded from examination for the simple fact that people aren’t as aware of it? Definitely not. Every day in America, people will be killed via gun violence. They will be killed in alleyways and family homes and nightclubs and bars and at country music festivals. They will be killed in the dark and killed in broad daylight. They will be killed by jilted ex-lovers, angry friends, policemen, gang members, children, strangers, and deranged teenage boys who can no longer differentiate between fantasy and reality.